WASHINGTON, DC – The Environmental Protection Agency (EPA) and Department of Energy today announced a new development in how consumers could shop for used vehicles. The agencies are making a new label available to car dealers that features EPA fuel economy estimates and CO2 estimates for used vehicles sold in the United States since 1984. Consumers Union, the policy and advocacy division of Consumer Reports, applauded the move that could arm consumers with more information on the operating cost of a vehicle before purchasing. 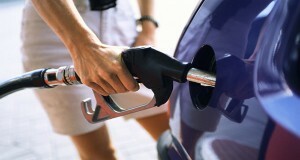 The consumer demand for higher fuel economy only continues to build. The average fuel economy of new vehicles sold has reached a new high, according to findings from theUniversity of Michigan Transportation Research Institute. Used vehicle sellers can create the new label electronically athttp://www.fueleconomy.gov/feg/UsedCarLabel.jsp. Dealers will have the option to download and include the label in both online advertisements and on vehicles.